This report comes as Kushner travels throughout the Middle East touting the US peace plan. 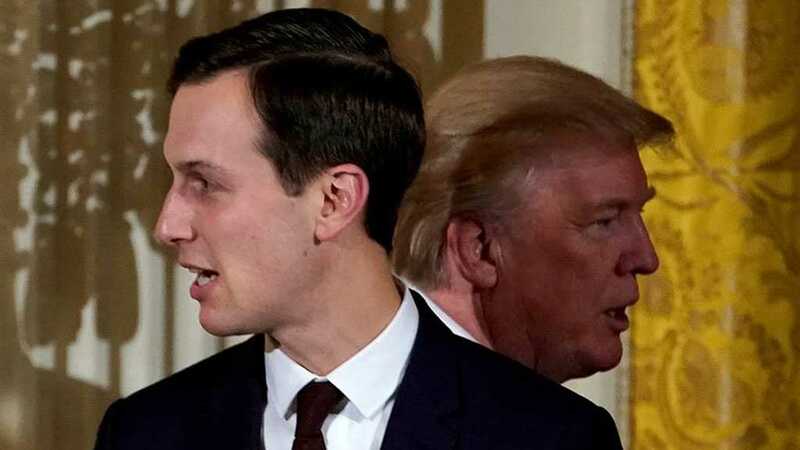 Despite objections from a number of intelligence officials, US President Donald Trump ordered his former chief-of-staff to grant Jared Kushner – his son-in-law and top adviser – a top-secret security clearance, four people informed on the subject told The New York Times. Several senior officials in the Trump administration were concerned with the president’s decision in May, including White House chief-of-staff at the time, John Kelly. In an internally-circulated memo, Kelly griped that he had been “ordered” to pursue the high-level security clearance for Kushner. Donald F. McGahn II, serving as White House counsel at the time, also penned an impassioned memo summarizing official concerns on Kushner – including from the CIA and other US security agencies. McGahn personally recommended Kushner not receive a top-secret clearance. In January, Trump told NYT that he was not personally involved in Kushner’s procurement of a top-secret clearance, a statement that stands in direct contradiction with the most recent report. Kushner’s lawyer reportedly said the president’s son-in-law received the clearance last year according to standard processes. In early February, Ivanka Trump also said the way in which Kushner acquired the clearance was entirely standard. As Kushner travels throughout the Middle East working on the Trump administration’s “Deal of the Century” for peace in the region, concerns over his personal foreign contacts and other matters that first arose in May when he received a top-secret designation have resurfaced. Kushner apparently met with Saudi Crown Prince Mohammed Bin Salman in Saudi Arabia on Tuesday, marking the first time the two meet since the murder of Jamal Khashoggi in October last year. Kushner has worked alongside Trump’s special envoy to the Middle East Jason Greenblatt on the peace plan for nearly two years now. On Monday, Kushner said that the US peace plan is “very detailed and will focus on drawing the border and resolving the core issues,” in an interview with Sky News Arabia. Washington also hopes to see a reconciliation between the Palestinian leaderships in Gaza and the West Bank. Meanwhile, the al-Quds newspaper on Thursday reported that Washington’s long-awaited “deal of the century” will not include the establishment of a Palestinian state with al-Quds [Jerusalem] as its capital. The Palestinians will get autonomy in the Gaza Strip with political and economic links to the West Bank, while “Israeli” settlements remain under “Israeli” control, according to the report. However, the “Israeli” settlements in the West Bank will not be expanded. Reuters cited anonymous sources in the Gulf, suggesting Kushner’s focus remains on economic initiatives to promote peace between the “Israeli” entity and the Palestinians. The US peace plan, the source said, hopes to see a “substantial” financial contribution from Gulf states. Earlier this month, Kushner told leaders from 60 countries at the Middle East summit in Warsaw that the peace plan will be presented after the Israeli elections on April 9.